Tim Sullivan brings over 42 years of accounting and tax related experience to the company. Tim has worked extensively over the years with business owners and entrepreneurs, helping them build their business and their retirement savings at the same time. Tim’s extensive tax knowledge helps his clients keep more of what they’ve earned. Tim is a native of Lancaster, Ohio, and graduated from Lancaster High School in 1965. 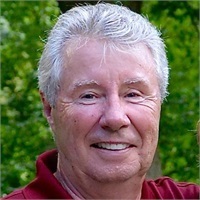 After High School, he went on to graduate from Bliss Business College in 1968, and received his Bachelor of Administration, majoring in Accounting and Psychology from Ohio University in 1972. Tim is a Certified Public Accountant (CPA), holds a Series 7 registration, and has served as a financial advisor for 21 years.